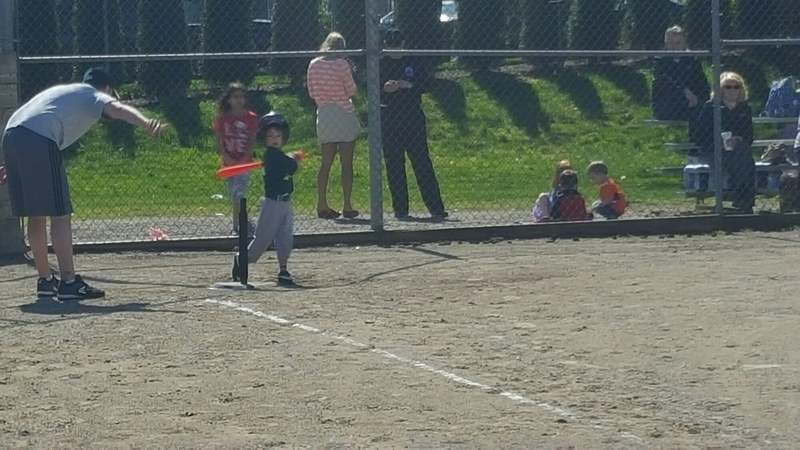 Sam started T-Ball two weeks ago and played his first game today. His team is the Challenger Athletics, and they played the Yankees this afternoon. The game was 3 innings long, the perfect amount of time for a game. 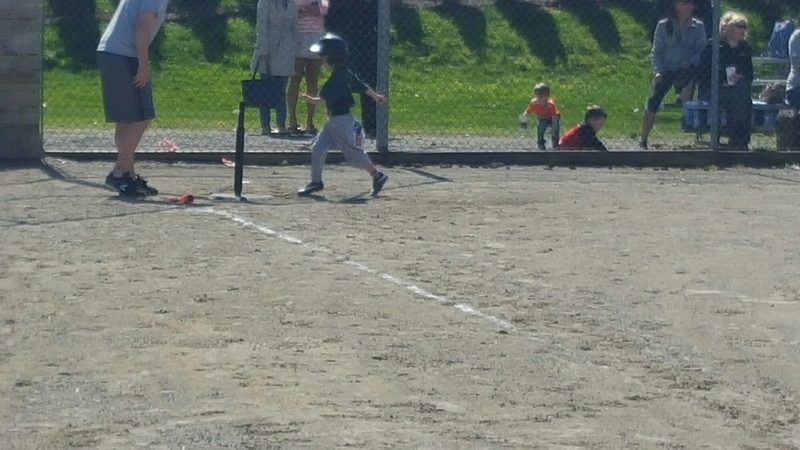 Here is Sam hitting the ball and scoring a run.